A few vibrant Beach Rose leaves have extended their visit into December to remind us of Autumn. 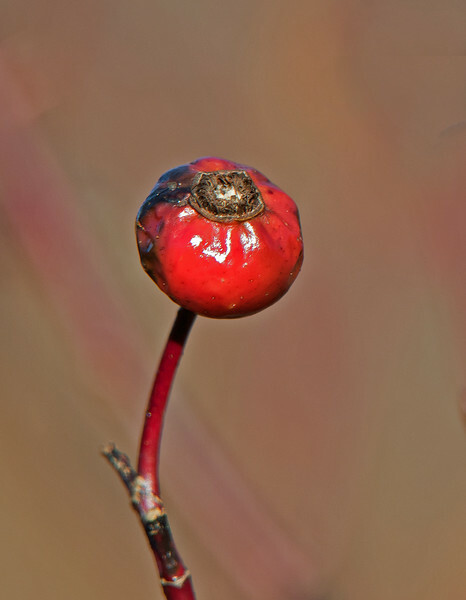 They’ll leave soon and then the plant’s bright red rose hips will take center stage. These hips are packed with Vitamin C and antioxidants and harvested for food and cold remedies. Nonetheless, Beach Rose (Rosa rugosa) is designated by Maine as an invasive species.